Each week I like to share wonderful reads and resources to inspire simplicity, mindfulness and living well on less. Thinking of buying a spiralizer? Think again. Here's a great way to create beautiful strips of vegetables as recommended by cook Anna Jones: For Anyone Thinking of Buying a Spiralizer from The Women's Room. I'm all for reducing the number of kitchen gadgets. Longing for a good book to curl up with on these darker nights? Try Longer books for longer nights by Bookends for inspiration. For Archers fans (a long running British radio soap opera) why The Archers must hold onto villainous Rob by Gillian Reynolds via The Telegraph. Good to know I'm not alone in feeling deep wrath for this weasel. This Dutch farmhouse featured on Decor8 is light, calming and stylish. Look out for the simple monochrome wardrobe. This week I was interviewed for BBC Radio 4's You and Yours. Listen to me taking reporter Bob Walker around our pared back home. The feature about decluttering starts about 26 minutes in if you don't want to listen to the whole episode. Thank you reading these links. It's great to hear that you enjoy them. We had a lovely week in Cornwall. When the photos are edited I'll be back with my holiday post. I'm not a gadget can either - very small kitchen. I can do the same spiral effect with my little Kuhn Rikon hand held peeler - best little thing ever! The Dutch farmhouse is a stunner, so light and fresh. My new read is "The Power of Now" - just started it after my mother in law recommended. Will have a listen to your radio interview too. Always look forward to your happy Friday links. Hope you had a wonderful holiday. P.S. It's a great interview/tour! I need to try to break my emotional attachment to stuff as you have done. Stuffocation is on my Christmas list too. Welcome back Claire! 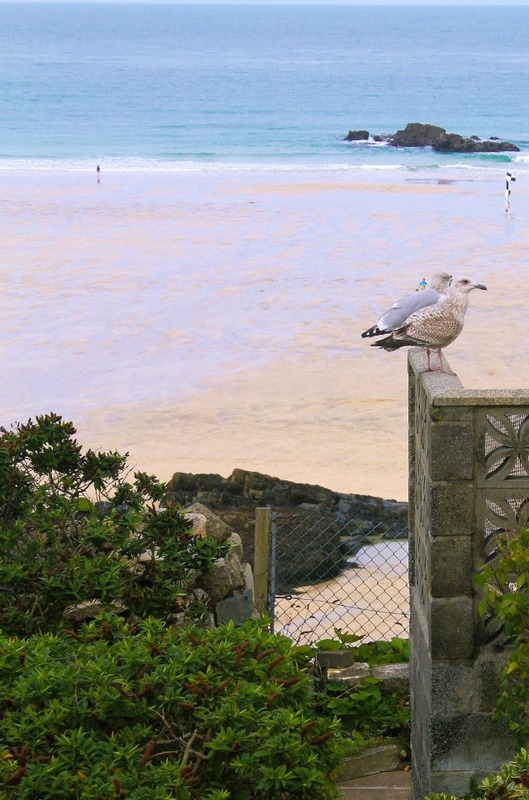 Looking forward to seeing more Cornwall holiday photos after enjoying your Instagram shots. Also enjoyed listening to your BBC talk especially the wonderful line "I practise non attachment to things" as this is definitely something I've been doing and it helps so much in decluttering. Thanks for the links - all very interesting as usual. Isn't Rob just dreadful? I liked the image of listeners putting down the carrot they were peeling to shake the knife at the radio. Done this myself more than once! Congratulations on a fine job on the radio. I echo what Megan said about practicing non-attachment. I wish I had more restraint in buying books.